Households in British Columbia have reported high levels of anxiety over their debts with almost two thirds saying the worry “is constant”. A survey by debt advisors Sands & Associates found that most respondents carried debt between $25,000 and $49,000 excluding mortgages and auto loans. 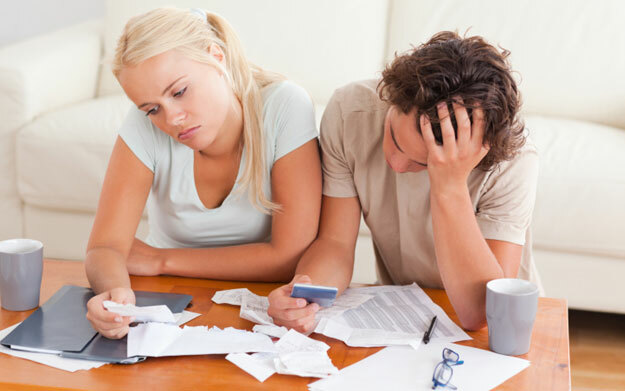 More than half have cut their expenses to cope with their debts. A quarter have tried to reduce housing costs. “One of the starkest findings of this study is the real cost of debt to a person’s well-being,” commented Licensed Insolvency Trustee and Vice-President of Sands & Associates, Blair Mantin. “To have one-fifth of our youngest demographic having feelings of suicide as a solution to their financial situation is truly alarming. We need to stop pointing fingers and shaming people about their debts – it’s time for a real conversation about debt, its impact, and the solutions that exist,” he added. Younger debtors were more likely to seek help for their debts earlier though with many of those in or approaching retirement reporting debts of $100K or more. The top causes of high debt levels reported in the survey include overextension of credit or mismanagement of finances (26 per cent), unemployment or other job-related issues (15 per cent) and, for younger Canadians, student debt. “People are often more comfortable discussing nearly any other personal topic besides their finances, consequently there is a sort of myth that having debt is a sign of failure, when it is often a fact of life in the world we live in. We need to continue to expand dialogues surrounding consumer debt issues and their direct impact on mental health,” added Mantin.